Stuart Coltherd is hoping his local course passes an 8am inspection on Sunday to give him a shot at the card's biggest prize with the consistent Ash Park. Training only half an hour away from the Borders course, Coltherd will have no travel issues as he targets the £25,000 Royal Caledonian Hunt Handicap Chase. Ash Park, ridden by the trainer's son Sam, is a novice over fences, having won four times over hurdles between March and June last year. In four chase starts he has been placed three times. Selkirk-based Coltherd, best known for training Tartan Snow to win the 2013 Aintree Fox Hunters at 100-1, said: "Ash Park is improving with every race, as is his jumping. He was just a bit novicey last time at Musselburgh at the end of the race. He should handle the ground." Spanish Fleet has been running well off big weights in lesser company and rises two classes for this challenge. Trainer George Bewley said: "He's just a novice who has had three runs over fences this season and gone really close every time carrying top weight. I put him in this to see what he can do off bottom weight. It's a tough ask but he has first-time cheekpieces, which will hopefully sharpen him up. He's going really well at home. If he's going to win a good race he's on the right weight." Lucinda Russell took the feature race on the corresponding card two years ago with Lie Forrit when it was a veterans' chase and bids for its replacement with Final Assault. "He has been in good form," she said. "Two miles five furlongs has always been his trip. He'll be held up. We tried front-running with him last time and it didn't work. Hopefully he'll run much better." Russell has a strong candidate in the £20,000 Ferneyhill Handicap Hurdle (2.10) in last-time-out winner Marcus Antonius. "He has done well in lower grades and after winning last time we thought it was worthwhile taking a step up in class," she said. "He went up 8lb for his win but Blair Campbell takes off 7lb." At the top of the weights is Aristo Du Plessis, whose form has slipped since he disappointed when one of the favourites for a novice chase at Cheltenham in October. 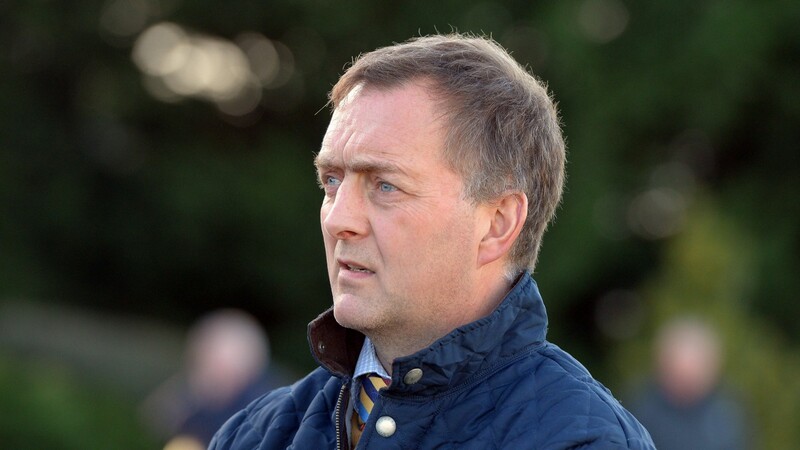 Trainer James Ewart said: "I guess horses who are very successful in a short space of time have to pay the penalty eventually. He ended up with a peak mark of 150. It's been hard to find his rhythm and we've had some issues in the yard as well. "I'd like to think he's as well as I can have him. At home his last few pieces of work have been really good. I'm hoping he has turned a corner."